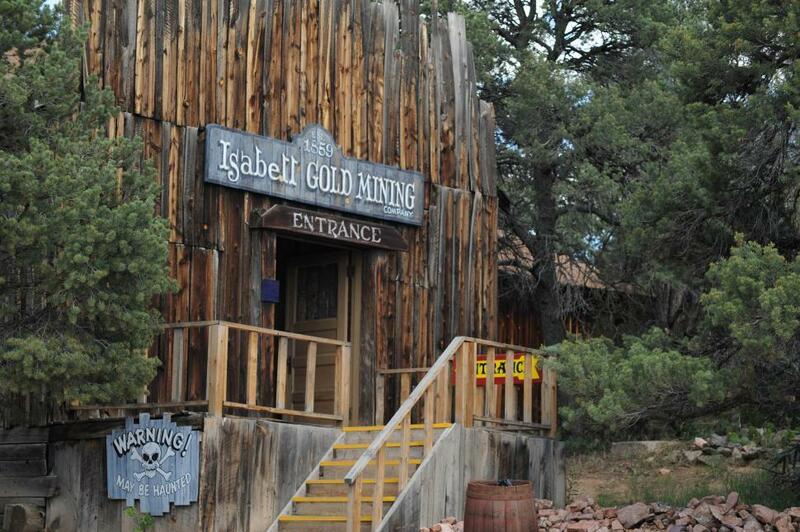 The entrance to Isabell Gold Mining in the Buckskin Joe Frontier Town. A sign reads, "Warning! May Be Haunted."